This excerpt is reblogged from Studying Unformed Objects: Deviation, one of several pieces in the series Field Notes: Studying Unformed Objects organized by Britt Dahlberg on the Cultural Anthropology blog. ANTICIPATORY OBJECTS: Entities that are in a state of waiting, objects shaped by the not yet of the future, and therefore require pre-emption, preparedness, speculation or forecasting are examples of anticipatory phenomena. Andrew Lakoff, Melinda Cooper, Ben Anderson, Vincanne Adams, Adele Clarke and Michelle Murphy are examples of people tracking entities that have not yet arrived. UNDECIDABLE ENTITIES: Whether a particle in physics, or a micro-organism in the ocean, the undecidable entity refuses to respond predictably. When scientists investigate one set of relations that make an entity, other relations slip away, divert, or surprise. Karen Barad and Astrid Schrader stalk undecidability. IMPERCEPTABILITIES AND INSENSIBILITIES: Domains or relations that are pushed into imperceptions by virtue of the particular limits of given regime of making sensing the world. For example, a dose response curve can only chart reactions to a chemical that are regular and specific to that chemical, and render as imperceptible reactions that are idiosyncratic. This is a kind of unformed object I’ve participated in. Kathryn Yusoff conjures insensibilities as forms of responsiveness lost to human crafted sensibilities. ILLNESSES YOU HAVE TO FIGHT TO HAVE: Embodied states that technoscience does not register as a coherent disease entity can become partially materialized through struggle even as they are viewed as improperly organized by biomedicine. Joe Dumit, Jackie Orr, and Chloe Silverman write about such skirmishes. AFFECTIVE ENTANGLEMENTS: Entities that cannot be fully captured in representations and are rendered through non-representational engagements of embodiment and feeling by scientists. Natasha Myers work animates affective entanglements. CLOUDS: Loose and dynamic assemblies of relations that make up the atmosphere that evokes an entity. Celia Lowe marvels at clouds. SLOW VIOLENCE: Large-scale forms of incremental chronic becoming of uneven worlds caused by global capitalism, a chronic alteration that stretches over intergenerational spans of time. Rob Nixon’s writing investigates strategies for telling stories that help to bring into legibility the slow violence of planetary mutation that is otherwise hard to notice or conceptualize. All these versions of unformed objects were brought into being by scholars who situated their writing in the ontological politics of technoscience. In many ways, they are the inventions, the epistemic things, that technoscience studies has created. All the entries in this little primer of a bestiary offer examples of writing in which scholars have been responsible to the invention of their own object of study—from regimes of imperceptibility to viral clouds to slow violence—rather than replicating the world as already given by a research site. Entries for this bestiary could easily multiply. Nimbus II, 2012. 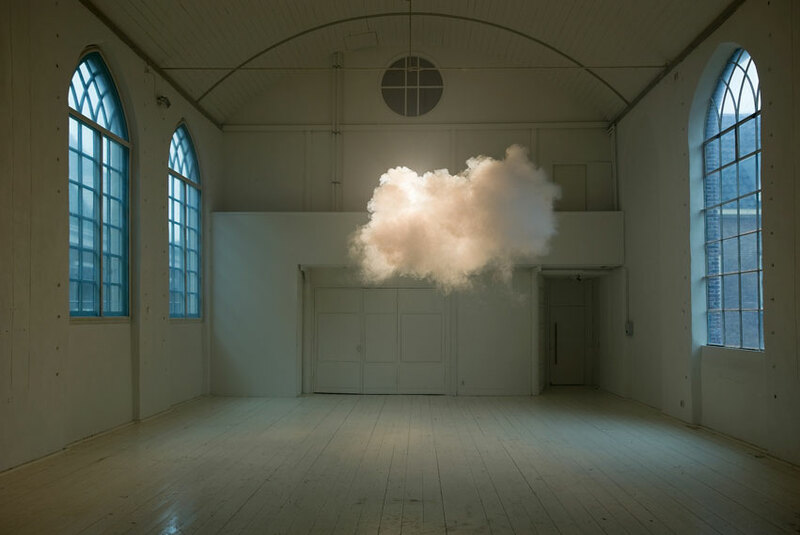 By Berndnaut Smilde. This entry was posted in Uncategorized, Waste and tagged Britt Dahlberg, Michelle Murphy. Bookmark the permalink.